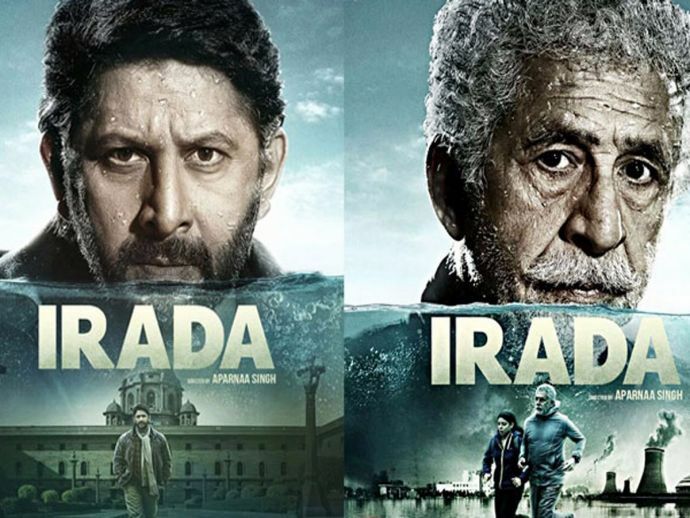 First song from the film Irada Staring Naseeruddin Shah and Arshad Warsi is finally out now. Sung by Harshdeep Kaur and Shabab Sabir, the song ‘Mahi’ is another update in Bollywood’s sad songs playlist. The song features Sagarika Ghatge who made her debut in 2007 release ‘Chak De! India’ starring Shah Rukh Khan. The song is composed by Neeraj Shridhar while Sameer Anjaan gave the lyrics to it. The song is beautifully pictured and if someone loves to listen to soft songs, then this is the one to go with. Veteran actor Naseeruddin Shah along with Arshad Warsi can be seen in lead roles in the film. Naseeruddin Shah and Arshad Warsi also shared the screen in films Ishqiya and Dedh Ishqiya. Both the films were a big hit. Now this duo is back again with ‘Irada’. The film seems impressive in the trailers. Arshad Warsi is playing an NIA officer’s character, who is hired to investigate a bomb blast. Divya Dutta is playing a shady politician. Naseeruddin Shah is playing an ex-army officer who is fighting his sorrows after his daughter dies in the bomb blast. Along with Naseeruddin Shah, Arshad Warsi and Sagarika Ghatge the film also features Divya Dutta, Sharad Kelkar, and Rajesh Sharma. Directed by Aparnaa Singh. The film is all set to release on 17th February.